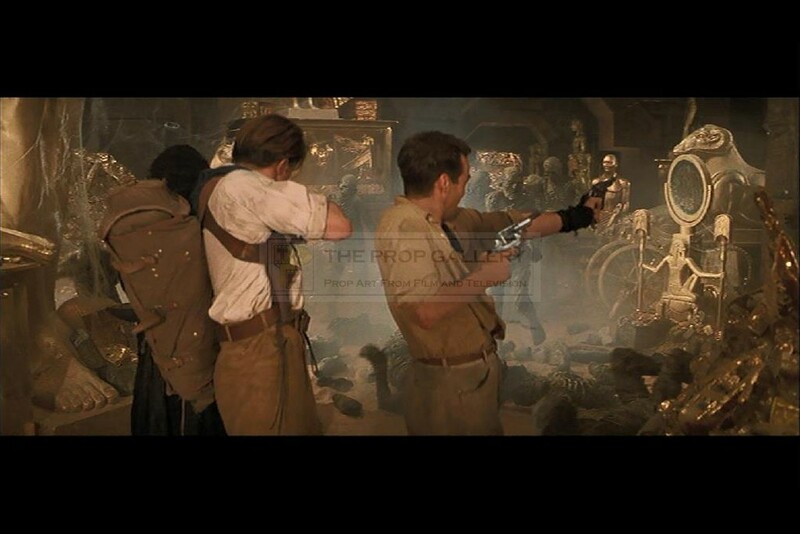 An original prop used in the production of The Mummy, the 1999 action horror starring Brendan Fraser and Rachel Weisz. Mummy body parts such as this can be seen used in the movie following the various battle sequences. This Mummy thigh section is constructed from solid foam rubber and is dressed with numerous bandages with a detailed paint finish to appear distressed. The leg section measures an impressive 23" long and remains in generally excellent condition with some light wear from use during the production. A recognisable and affordable artefact well received box office smash.